Can you think of any scent more bewitching than that of fresh bread baking in the oven? It is nearly impossible to concentrate when I smell it. While the bread bakes my brain rummages through its box of all my favorite ways to eat a loaf hot from the oven; Should it be blueberry jam? Cold butter? Ginger marmalade? Or maybe a fried egg? A paper thin slice of salty ham? What sweet agony narrowing down those options. And what a marvelous way to pass part of a Saturday morning; luxuriating in the brown yeasty aroma of dough transforming into the staff of life and contemplating that new loaf’s upcoming rapid demise. If talk of bread fires up your salivary glands the way it does mine, you are in luck today, my friends. I have a recipe for an astonishingly flavorful yeast bread that is ready to be loaded up with whatever makes your fancy take flight in one hour flat. From start to finish, from its Alpha to its Omega, from the time you dip that first scoop of flour to the time it is removed from the oven you will have spent sixty minutes; and most of that will have been baking time. There’s no crazy trick to it, it’s simply simple. And this is a sandwich bread that is the stuff on which dreams are built; mouthwatering flavor, magnificently chewy crust, fine crumb interior, able to be sliced Texas toast thick or whisper thin and capable of holding anything you want to pile or slather on it. Just take a look at it. Remember, too, that a last minute loaf of bread can make the meal. It can be the difference between a lonely bowl of soup and a feast. And more than that, this bread turns humble pantry staples into a reason to look forward to dinner. And while the taste and ease are enough, there is also the low price tag to recommend it. A few cups of flour, salt, sugar, yeast, water and it’s bread! And let me tell you something else, a loaf of this wrapped in a new tea towel makes a fantastic hostess gift. Who doesn’t like a loaf of warm bread? 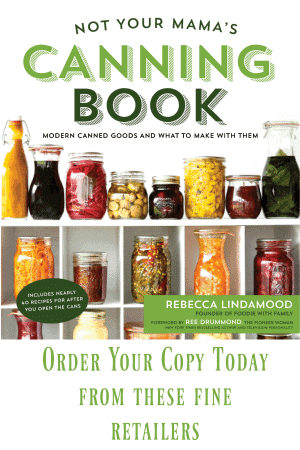 For a printer-friendly version of this recipe minus the photos and rhapsodic waxing about bread, click here! Adapted from ‘The Tightwad Gazette’. Combine flour, instant yeast, sugar, and salt in the bowl of the stand mixer that has been fitted with a dough hook. Mix on low speed for 30 seconds. With mixer running, slowly pour in the water and olive oil at the same time. Continue mixing on low until the dough comes together and becomes smooth, about 4 minutes. Remove bowl from the stand mixer, scraping any dough that remains on the dough hook into the bowl. Pull dough from bowl with your hands and form a smooth dough ball. Replace in bowl, cover with a clean tea towel and let rise in a warm place for 15 minutes. Combine flour, instant yeast, sugar and salt in the bowl of a food processor that has been fitted with a blade or dough blade. Pulse 10 times. With the food processer running, pour the water and olive oil into the feed chute. Continue processing until the dough forms a cohesive ball. Spin the dough ball 20 times and shut off the food processor. Remove the dough, form a smooth dough ball and place in a lightly oiled mixing bowl. Cover with a clean tea towel and let rise in a warm place for 15 minutes. Combine flour, instant yeast, sugar and salt with a whisk or fork in a large mixing bowl. Pour the warm water and olive oil into the flour mixture and use a sturdy spoon to combine into a shaggy dough. Use your hands to knead for 8 minutes*. After kneading for 8 minutes, cover the bowl with a clean tea towel and let rise in a warm place for 15 minutes. Turn dough out onto a clean surface and divide in half. Form each half into a ball and place 5-6 inches apart on a baking sheet that has been lined with parchment paper or a silpat, or has been lightly greased. 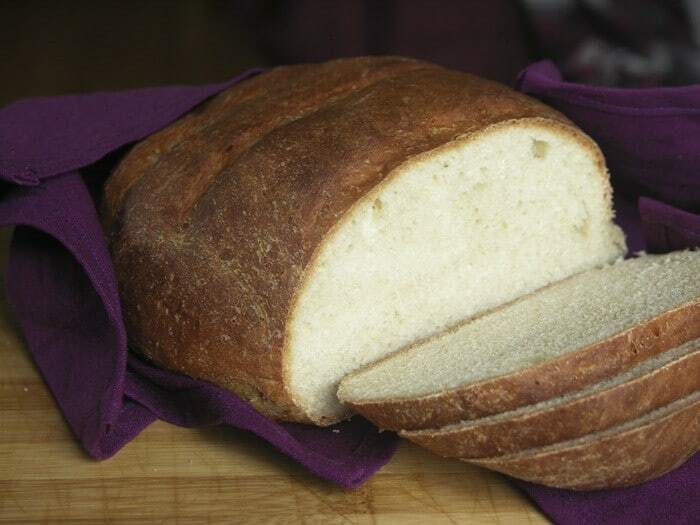 Use a sharp knife to slash the top of the loaf about ¼ of an inch deep. This allows the steam to escape the baking loaf. Gorgeous – and no, I cannot think of anything finer than fresh baked bread. (Well, except pie, but consider who you’re asking.) Oh, and the smell of bacon and garlic make me swoon. I still need to talk to you about my yeast problem…bread, that is 😉 Soon. I made this bread tonight for supper. Wow, was it ever good & so easy! We’re going to be making this over & over & over. Thanks so much for the recipe! Drats, now I’m hungry for another piece – think it needs jam on it this time! I’d love to make fresh bread for breakfast, but couldnt stand the idea of getting up at 3am (! ), so I’m so gonna give this a try, Thanks! Working on overcoming my yeast-bread-phobia, aka: YBP – I think it’s officially in the JAMA now… and this looks so good. Plus? Immediate gratification. Which I am in favor of. Kristi- I do often replace half of the all-purpose with white whole wheat. You could easily do the same with red or coarse whole wheat but you would end up with a slightly denser loaf both because of the flour’s texture and because whole wheat rises much more slowly than all-purpose. Would it be possible to make these in a loaf pan? I love the free form style but it doesn’t fit well in the kid’s sandwich boxes for school. I’ve made this bread twice and won’t go back to store bought. I love it fresh from the oven with butter and honey. Dear lord, so incredible! My family & I LOVE it! I have made it every week now for 3 wks! Oh so tasty! Just like whatthefork i would like to know if you can bake it in loaf pans? I may also try and use my baking stone one time to see if that would work. I will still use the water though. I baked this bread this morning in a loaf pan. I used an extra large pan and made just one loaf. It passed my husband’s PB&J test, but next time I will divide it into two smaller pans. Don’t be afraid to use a loaf pan! I am a big fan of your blog. I have several of your recipes I wanted to try-this past holiday weekend I was finally able to bake this bread. Absolutely wonderful- my son loved it. I also made your “unicorn” chicken recipe again. Keep these great recipes coming! This is the BEST, quick bread recipe that I’ve ever seen! And I’ve seen more than a few. I’ve given loaves of this bread (along with your website and recipe) to many, many people to rave reviews. Besides making great bread; it also makes scrumptious toast, french toast, croutons, bread pudding, bread crumbs…..and I’m trying cinnamon rolls today! Yum! I used bread flour instead of AP flour, honey instead of sugar, Canola oil instead of EVOO, one hour rise time, rolled into 9×5″ loaf pans, let rise another 30 mins., and then baked at 350F for 35 minutes. This bread had a great rise, was soft, fluffy, and so delicious. We cut into it before it cooled completely because my boys couldn’t wait to try it. Thanks for posting a great sandwich bread recipe! I can’t get this to work for me! It’s so dense, it’s hardly usable for sandwiches. What am I doing wrong? Hi Kat… I have a couple ideas where you might be having issues in the recipe. Can you tell me what method you use to measure your flour? I had the same dense problem – it was great for dense bread, but no way could this be used for sandwiches… I measured the flour with a measuring cup and scraped each 1/2 cup with knife. I live at about 5000 elevation. and I used active dry yeast, and “activated” it w/ 1 cup of the water – waited about 8 min, then added to the dry ingredients – I did this in the kitchenaid mixer. Help! thanks! I tried this last night, and it was certainly easy, but I must have done something wrong, b/c it was sooo dense. I laughed when I picked up because it was so heavy 🙂 I’m thinking I killed my yeast because it didn’t rise very well. I am determined to master yeast breads one of these days!!! If you are good with yeast, this is definitely one to try. I made a Very Important Discovery yesterday. Bread will only rise when you add the yeast. if i want to sweeten it up can I add in extra sugar or what I’d love to do is replace sugar with loads of honey! It’s always worth a shot! It’s not a huge time or cost investment. Let me know how it works for you if you do try it! Finally, someone realizes that we all do not have those lovely stand mixers or even a food processor and posts a recipe that includes by hand directions. Thank you, thank you, thank you. I’m traveling to visit my best friend next week and this will be prefect for us to make together. Just made this tonight & it came out great! I read the comments and eating a warm slice right out of the oven with butter and honey was heaven! I loved that the recipe made 2 loaves—one for me and one as a surprise gift for our neighbour. Thank you for sharing a fabulous and easy recipe! Love this! I’ve made it a lot, great if I am in need of some bread to make sandwiches for lunch and realize I’m out of bread. Mine turns out much crustier than the pic, but we love it that way! 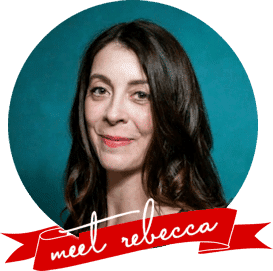 Thank you, Rebecca! I am so glad to have found this recipe, but it was too dense. I used a mix of sprouted whole wheat and white flour. Any suggestions for next time? Have you ever worked with sprouted wheat in your bread recipes? Hi Nahlia- Having not been in your kitchen when you made the bread, it’s a little hard for me to nail down what went awry, but I can throw a couple of ideas out there. I suspect that the culprit for the density issue may have been the sprouted wheat. 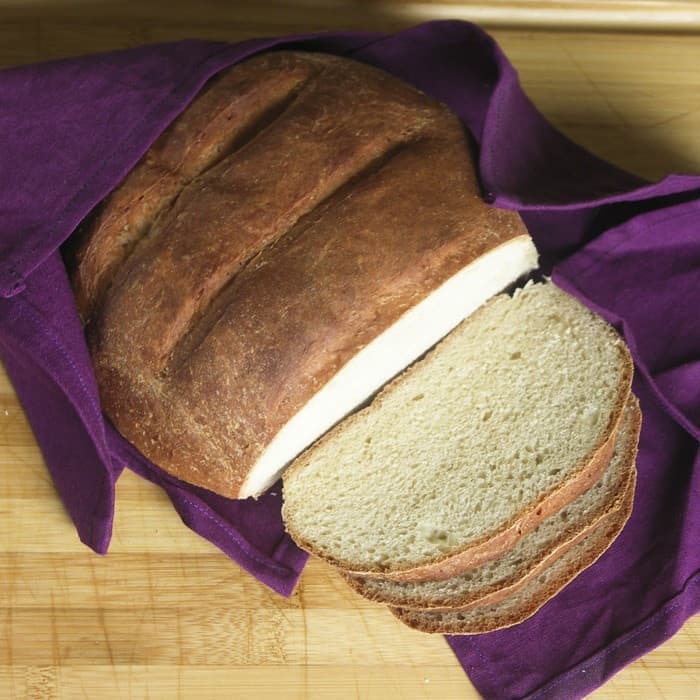 This recipe was engineered to be made with white whole wheat or standard whole wheat flour. I have not tested it with the sprouted wheat. Do you measure your flour by volume or by weight? Volume measurements often vary wildly, making it possible to have included more flour in the recipe than was specified, too. That is another common issue when bread comes out too dense. Made this yesterday. It worked beautifully! Also, just for the sake of information: I made these in 2 medium loaf pans with no problem whatsoever. Hey there! Love this recipe. I was wondering if any modifications have to be made if I wanted to bake them in bread pans. Hi Karin- You’ll definitely want to watch the time and maybe even tinker with the temperature if you’re switching to a bread pan. I can’t advise you as to how much time/temp differences you’ll need, but just observe while you go! Hi Pam- I’ve never tried it in a bread machine. I would love to know the results if you do! Hi, I just made this bread this afternoon to go with a ham I’ve got in the crockpot. The bread is absolutely amazing! I think it’s the best (not to mention fastest) bread I have ever made! Thank you so much! It’s almost always okay to add a bit more flour to make it workable if you need to, Meshe. This is a very forgiving recipe, so add as needed. Great recipe! Works – as is – at 3000 above sea level! Do you have any recommendations for adding in other flours, such as whole wheat pastry flour, etc? Hi Esther- I’m so glad it works well for you! 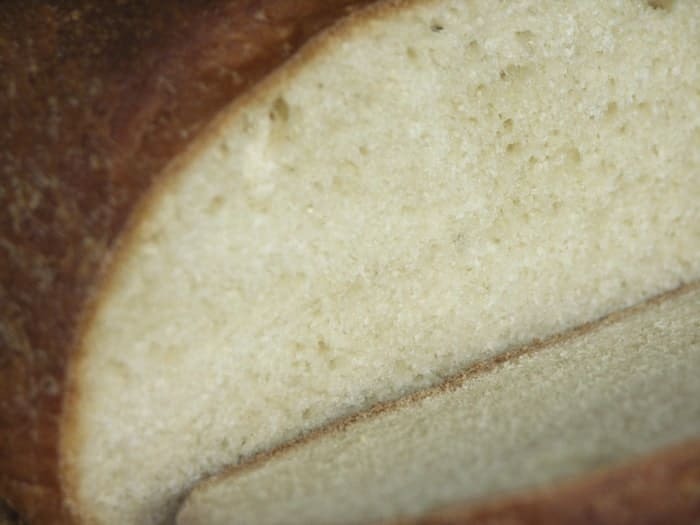 I don’t recommend using pastry flour in the bread as it has a very low protein content and will greatly lower the gluten in it making the crumb less desirable. You could play with subbing in a cup or two of white whole wheat flour for some of the all-purpose flour. I’ve done that before and enjoyed the results. Sounds like an idea. Thank you! I do not usually comment on recipes that I try, even when they work beautifully for me – and honestly, I do not always follow them exactly as they are written. Nonetheless, I have to say to anyone reading this recipe that it actually works. No. Seriously. It actually works – in 1.5 hours (I ignored my dough for a moment dealing with a family issue….you understand, I know) I went from measuring flour to taking beautiful loaves of bread from the oven. Thank you for this recipe, and I will look forward to making it and others of your recipes again and again. Thanks, Chas! You made my day and I’m so glad you had such success with it! I just have to say, i’ve made a lot of different breads from recipes on the internet, king arthur etc. This recipe just plain works. It makes delicious bread, and in record time. It’s now my go-to, I love it. Making it right now for the third time. I will most likely make this forever. Thanks so much! Yeast question: how does “2 Tablespoons Instant Yeast” translate into the little packets? The packets say that 3 of them =6 3/4 tsp. or one 2 oz. yeast cake. Should I use 3 packets per batch? (This is my first time using instant yeast.) Thanks! Ate this till I was dizzy, it’s so good it should be illegal haha. I made it in two large loaf pans, came out great.